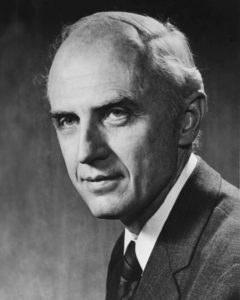 Harold S. Johnston was one of the world’s authorities in atmospheric chemistry, he was one of the first to call attention to the possibility that stratospheric contamination by nitrogen oxides might threaten the Earth’s ozone layer. Harold S. Johnston is professor of chemistry at the University of California at Berkeley and principal investigator in the materials and molecular division of the University’s Lawrence Berkeley Laboratory. Professor Johnston pioneered the field of atmospheric chemistry and is one of the world’s leading authorities in that field. Professor Johnston’s work first drew general attention to the possibility that contamination of the earth’s stratosphere might threaten the integrity and structure of the earth’s ozone layer. In a 1971 paper published in Science, he postulated that nitrogen oxides could reduce ozone in the earth’s atmosphere. He further suggested that a proposed fleet of high-altitude supersonic aircraft (SST) could directly inject significant amounts of nitrogen oxides into the earth’s upper atmosphere. Dr. Johnston’s work sparked intensified interest in the workings and balance of the atmosphere and had an important effect in determining the course of development of the world’s commercial aircraft fleets. In the last decade, Dr. Johnston has applied progressively more sophisticated laboratory methods in his search for greater understanding of the interaction of nitrogen oxides and other gas molecules in the atmosphere. Dr. Johnston is the recipient of the pollution-control award of the American Chemical Society. He is a member of the National Academy of Sciences and the American Academy of Arts and Sciences. Dr. Johnston served on the atmospheric sciences panel of the President’s Science Advisory Board from 1963 through 1966. He later served for five years on the Advisory Committee to the California State Air Pollution Research Center. 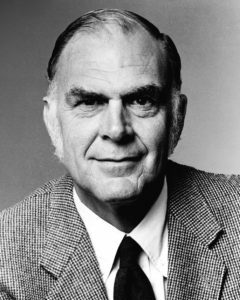 During the 1970s, Dr. Johnston participated in the climatic impact assessment program of the U.S. Department of Transportation and as a member of the National Academy of Science’s Committee on Motor Vehicle Emissions. He has contributed to the advisory committee of the National Center for Atmospheric Research and the Federal Aviation Administration’s high-altitude pollution program scientific advisory committee. Mario J. Molina is the co-developer of the Rowland-Molina hypothesis on ozone depletion by chlorofluorocarbons, he has studied the disruption and perturbation of natural cycles in the stratosphere. Mario J. Molina is a member of the technical staff of the Jet Propulsion Laboratory in Pasadena and an adjunct professor at the University of California at Irvine. While completing his doctoral work at the University of California at Berkeley, Dr. Molina met his future Tyler Prize-winning colleague, Dr. Johnston, and first learned of the possibility of stratospheric perturbations caused by human activities. 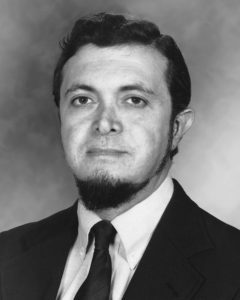 As a postdoctoral student and later as a member of the faculty at the University of California at Irvine, Dr. Molina began working with Dr. Rowland on the studies concerning ozone depletion. “Perhaps the most significant effect is not overall ozone depletion … but the possible large-scale perturbation of natural cycles in the stratosphere. What may be more critical is possible disruption of ozone distribution – the redistribution of stratospheric ozone may have as yet untold effects on climate in the stratosphere and thus, possibly on the troposphere, just above the earth’s surface. F. Sherwood Rowland was the co-developer of the Rowland-Molina hypothesis, his policy initiatives led to regulations that controlled the use of chlorofluorocarbons as aerosol propellants in the western world. F. Sherwood Rowland is professor of chemistry at the University of California at Irvine. He was one of the first scientists to alert the world to the possible threats to the earth’s ozone layer from chlorofluorocarbons released into the atmosphere as aerosol propellants, refrigerants and solvents. Dr. Rowland conducted the research, first announced in 1974, in conjunction with Dr. Mario Molina, who also is sharing the 1983 Tyler Prize. Their research demonstrated that chlorofluorocarbons depleted the ozone layer in the upper stratosphere, permitting more biologically harmful ultraviolet rays to reach the earth. The studies of Rowland and Molina have since been confirmed by numerous scientists and have led to regulations that control the use of chlorofluorocarbons as aerosol propellants in the United States, Canada and in Scandinavia. In 1980, nations of the European Economic Community implemented a program to reduce the usage of these gases as aerosol propellants. Dr. Rowland’s work, which has continued with more comprehensive measurements and analysis of fluorocarbons and other gases in the atmosphere, is an outgrowth of his research and specialization in radiochemistry, photochemistry, and atmospheric chemistry. Dr. Rowland has received numerous awards and honors in the past decade, including the American Chemical Society’s award for creative advances in environmental sciences and technology (1983), the Leo Szilard Award for physics in the public interest from the American Physics Society in 1979, two Guggenheim Fellowships, and the John Wiley Jones award for environmental chemistry from the Rochester Institute of Technology.